A two-week series featuring new plays, 7 full-length and 4 short plays, is currently being offered from one of Los Angeles’ most noted development companies, Ensemble Studio Theatre/LA. 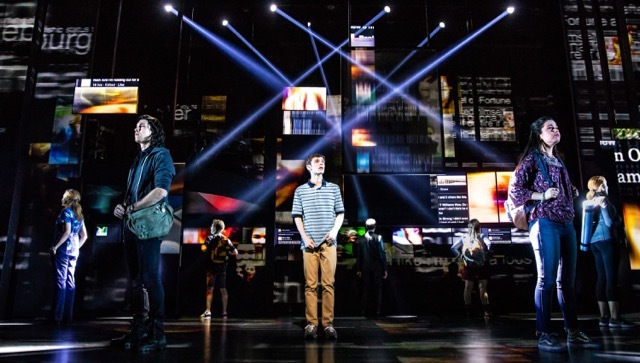 Developing new voices in theatre, EST/LA draws from a wealth of talent, which includes NYFA, NEA, Guggenheim, Obie, Emmy and Writers Guild Award winners. The Launchpad series is a showcase of plays in long-term development from EST/LA’s Playwrights Unit, and New West playwrights. 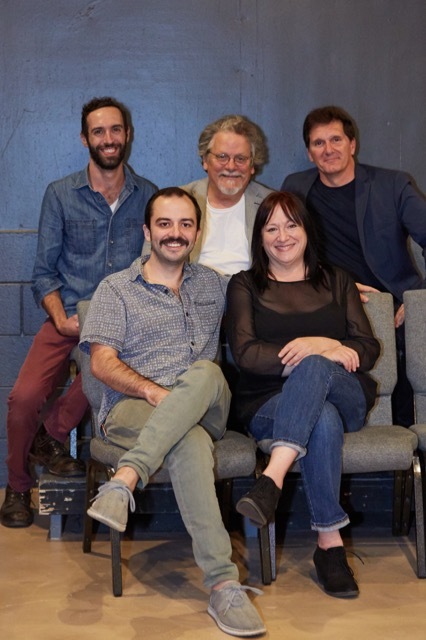 Produced by Keith Szarabajka and Kevin Comartin, the featured playwrights include Don Cummings, Marla DuMont, Anne Flanagan, Tony Foster, Elin Hampton, Michael Kaplan, Ron Lagomarsino, Ken Levine, Gabriel Neustadt, Mary Portser, and Ashley Rose Wellman. Ensemble Studio Theatre/LA has a reputation for nurturing the development of new plays by theater professionals. This company is a gateway to other development programs. 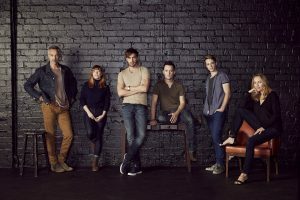 The Launchpad series is presented with minimal design in lighting and sound, each work is read and directed by professionals who are working in Los Angeles theatre. New full-length plays include: Lineage, Hot Tragic Dead Thing, The Water Tribe, Tail of the Bell, Our Time, Waltzer and the Wonder Wild, and Jerome. New short plays include: Stella, The Last Hurrah, A Perfectly Understandable Misunderstanding, and Christmas Fate. Directors include Brad Bentz, Bob Burgos, Lauren Campedelli, Bill Charlton, Kevin Comartin, Christopher Curry, Ron Lagomarsino, Rod Menzies, Tony Pasqualini, Christopher James Raymond, Shaina Rosenthal. Free parking lot ½ block from theatre on Casitas Avenue next to Momed’s Restaurant, or on the street. LAUNCHPAD runs Thursdays – Sundays at 8pm through November 18, 2018. All shows are $15 advance at: https://dime.io/events/launchpad-2018 or $20 at the door. Ensemble Studio Theatre/LA is located in the Atwater Village Theatre Complex, 3269 Casitas Ave. LA, CA 90039. More information: www.estlosangeles.org/launchpad/ and 818-839-1197. Filed Under: News, Theater Tagged With: Ensemble Studio Theatre/LA. The 2017 Golden Globe nominations were announced yesterday in Beverly Hills. Actor Don Cheadle, Laura Dern, and Anna Kendrick were joined by the Miss Golden Globe trio — Sophia, Sistine, and Scarlet Stallone as well as Hollywood Foreign Press Association President Lorenzo Soria, and Barry Adelman in revealing the nominees. The Golden Globes are presented by the HFPA, which consists of journalists who cover American film and television for international outlets. The membership requirements however are not tough. Members are only required to publish four articles per year in almost any publication, meaning that many of the members are not full-time journalists who work for big-name outlets. In fact it has been said that legitimate journalists from major international publications are often denied HFPA membership. It would seem it’s who you know, not what you know. Many in Hollywood consider the Golden Globes a second-class trophy compared to the Oscars and the Emmys, so why does Hollywood continue to support the ceremony? Because the public doesn’t know the difference and the telecast is a fun, alcohol fueled party with great gift bags for nominees and presenters. And… as the old saying goes, any publicity is good publicity. This year the nominations seem to be on track with what’s popular in the mainstream. 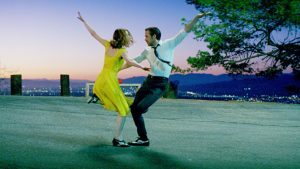 La La Land, the fresh musical starring,Ryan Gosling and Emma Stone leads with seven. 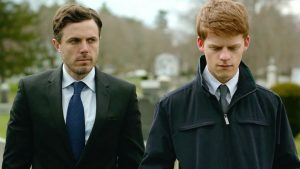 The well deserved acclaim for the Matt Damon produced, Manchester By The Sea with powerful performances from Casey Affleck, Michelle Williams and Lucas Hedges is also growing and both these films will surely get Oscar nods. Lion is another heart-tugging film that is gathering traction and is worthy of it’s nomination. The HFPA got these right. The somewhat overrated Arrival is a surprise on the list, but we are happy to see Annett Bening recognized for her honest and believable work in 20th Century Women. Jake Gyllenhaal and Michael Shannon’s fine work in Nocturnal Animals was overlooked by the HFPA but hopefully the SAG and Academy Awards will rectify that. There are rumblings that Fences did not get a best picture nod. While the performances in the film are exceptional, it feels much like an over the top play that is more suited to the stage, the medium for which it was conceived. Sully, a basically well made TV movie was left out of the mix, leaving Tom Hanks and Clint Eastwood batting zero for the time being. Truthfully, there are many other deserving potential nominees who join Hanks and Eastwood on the sidelines. In the foreign film category, the strong Hungarian film, Kills On Wheels was sadly bypassed, perhaps because Son of Saul, also from Hungary, swept last year. 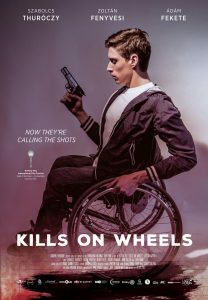 This is a unfortunate because Kills On Wheels is a well made, action-packed film with heart and deserves to be seen. Here’s a full list of nominees for the Golden Globes. Winners will be announced in a live telecast on January 8, 2017, starting at 5pm PST. Los Angeles, Ca – SHARON LAWRENCE (Rizzoli & Isles) and BARRETT FOA (NCIS: Los Angeles) lead the list of celebrities who join event hosts FRENCH STEWART (3rd Rock from the Sun, Mom) & VANESSA CLAIRE STEWARD (Louis & Keely Live at the Sahara) as Skylight Theatre’s Board of Directors celebrates the artistic achievements of GARY GROSSMAN and the Skylight Theatre Company for this year’s annual Skylight Salute being held December 4th at the Colony Theatre in Burbank. Over the past three decades, from Camelot Artists Productions to Katselas Theatre Company and in 2013 becoming Skylight Theatre Company, the one constant thread has been Gary Grossman. 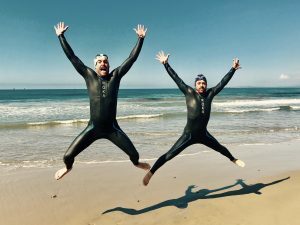 First as a producer and eventually becoming its Artistic Director in 2008, Skylight and Gary have become synonymous with nurturing artists, producing live theatre in Los Angeles and developing new work. 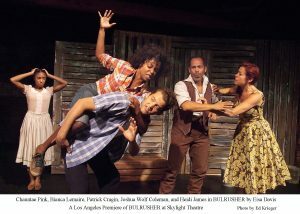 Over 2500 different artists have graced Skylight’s stages including 204 Los Angeles based writers. Skylight and Grossman have helped to craft, develop, workshop and mount a large body of original works, generating 166 readings, 157 workshops, and 69 world premiere productions. Works developed under Skylight’s auspices have gone on to garner awards and accolades for their playwrights, around the world. 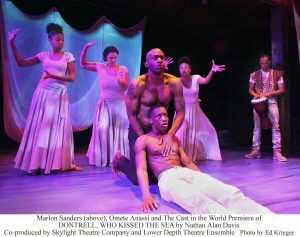 Sigrid Gilmer, a member of Skylight’s resident writers’ PlayLAb received the coveted 2014 USA Artists Ford Fellowship and $50,000, while Nathan Allan Davis’ play “Dontrell, Who Kissed The Sea” received the prestigious Steinberg/American Theatre Critics Association 2015 New Play Citation. 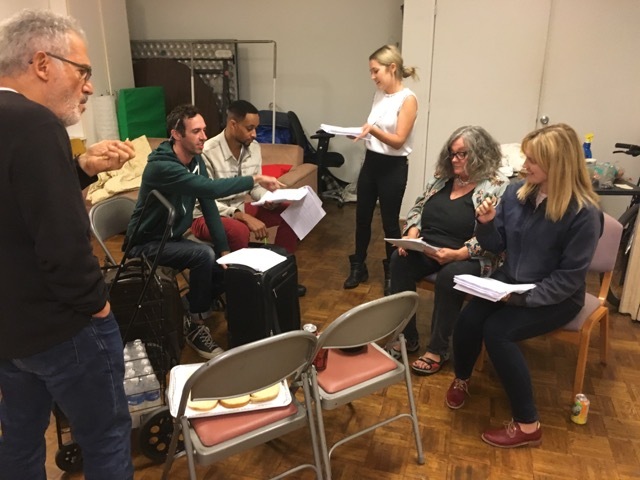 The Humanitas PlayLA workshop, launched in 2015 with support from the Center Theatre Group, has selected Skylight resident writers to fill five out of the ten available positions from over 200 candidate submissions. Louisa Hill, another of Skylight’s resident writers, won Third Place in the inaugural year of the associated Humanitas PlayLA Playwriting Prize. Through Grossman’s leadership, Skylight’s plays have made their way across the United States to New York, Chicago, Baltimore, Cincinnati, Kansas City, Denver, and San Francisco, while internationally they have been performed in Paris and Edinburgh, with additional productions scheduled for Australia, Canada and Greece. Skylight has been a community leader, providing artistic opportunities for at-risk teens and helping to feed the hungry. In the last three years, 1250 teens in Los Angeles detention centers and high schools have experienced Lyric Project writing workshops. Supported through partnerships with ASCAP Foundation, the City of Los Angeles, and Boeing’s Employee Community Fund, 45 of the young lyricists have been mentored and teamed with professional songwriters to create new songs that are performed in a unique and fully realized musical event for the stage. 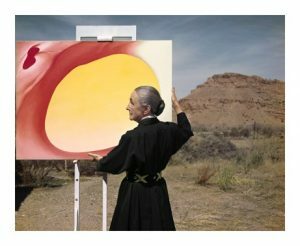 Since 2012, Skylight artists have been putting Art Into Action, donating their time and talent to help feed LA’s hungry on Thanksgiving Day; since the program began over 1200 hungry people have been fed in the Downtown and MacArthur Park areas. 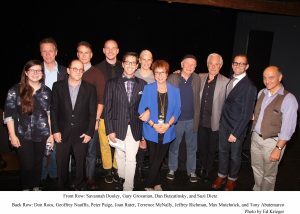 Gary Grossman’s unselfish efforts for the Los Angeles theatre community were recognized at the 2016 Stage Raw Theatre Awards with a Lifetime Achievement Award. He continues to be an ad vocate for the Los Angeles theatre community leading interactions with Actors Equity Association and LA Theatre Producers for a workable agreement between the actors union and Los Angeles producers. Eileen Barnett, Gigi Bermingham, Dale Kristien, Marcelo Tubert, and Denise Woods, will be performing along with additional surprise guests. Directed by David Galligan, Choreography by Lee Martino, Musical Direction by Michael Sobi, and hosted by French Stewart & Vanessa Claire Stewart. David Galligan has directed all the S.T.A.G.E benefit shows in LA since 1984 and began directing for Grossman and Skylight back in 1985 with a celebrated production of Leonard Bernstein’s Trouble in Tahiti. 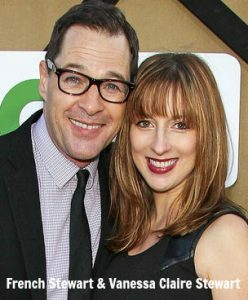 French Stewart is perhaps best known for his roles in the television series Mom and 3rd Rock From the Sun. 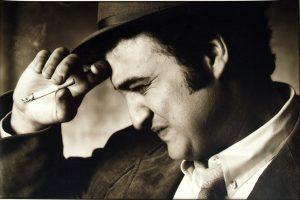 He is a member of Sacred Fools Theater Company, playing the title role in their 2012 hit production of “Stoneface: The Rise and Fall and Rise of Buster Keaton” which moved to the Pasadena Playhouse. Vanessa Claire Stewart is recognized as a quadruple threat – singer, actress, director and writer. She is most often recognized for her performance as Keely Smith in Louis and Keely Live at the Sahara (Los Angeles, Chicago) that she co-wrote with Taylor Hackford and Jake Broder, but she has also opened the Newport Jazz Festival as a vocalist, and penned and then directed the wildly successful “Stoneface: The Rise and Fall and Rise of Buster Keaton,” which starred her husband French Stewart. SALUTE kicks off at 6pm with a VIP dinner and 7:30pm for the stage show on Sunday, December 4, 2016. The Colony Theatre is located at 555 N. 3rd Street, Burbank CA. 91502. 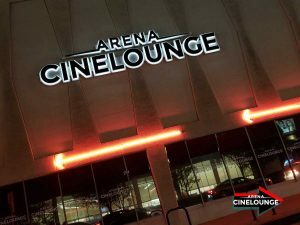 Tickets range from $150 – $425. Proceeds benefit Skylight’s Artistic Development Programs. Dinner reservations and show only tickets can be purchased online at http://skylighttix.com with more information at 213-761-7061. All performers are subject to availability. GLASS HOUSE DISTRIBUTION, a new sales company has been generating buzz at the 2016 AMERICAN FILM MARKET for one important reason. They deliver to both filmmakers and buyers exactly what they advertise. A straight-forward approach, transparency, fairness, and hard work on the films they are selling. The company was created as a partnership between well known indie film producer/actor/writer (and author of the book BANKROLL, the gold standard book on film financing), TOM MALLOY, and BRYAN GLASS, a wall street broker-dealer with a keen eye and a strong interest in films. 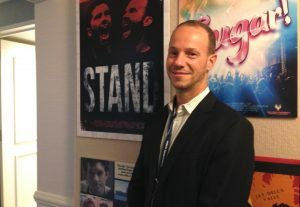 The company was launched at last year’s AFM, Malloy’s eleventh consecutive market, but the first time he was an exhibitor. He brought in MICHELLE ALEXANDRIA, formerly in acquisitions for several companies, and the pair hit the ground running. 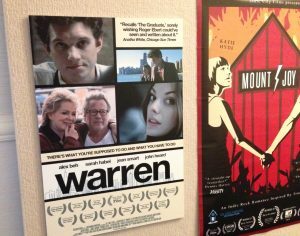 “Our approach positions Glass House to become to be the number one trusted and transparent “go-to” distribution company of choice for the independent film community,” states Bryan Glass. “If last year is any indication, 2016 will be ever stronger for us. 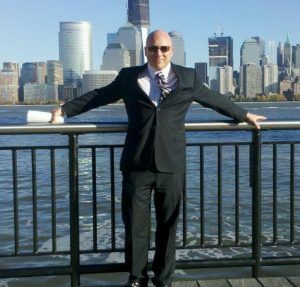 “Glass House has recently added film producer, ROBERT DEEGE, to the company’s roster. With credits that include Soul Surfer and the Emily Dickinson biopic, A Quiet Passion, Deege’s expertise is an important asset for Glass House.